The PESA Advisory Board Members offer their insight to the Board of Directors, reflecting their business experience. Advisory Board Members promote PESA participation within their own companies and strengthen PESA’s membership ranks via their personal industry connections. The PESA Board of Directors nominated and approved three new Advisory Board Members: Chuck Chauviere, President of Drilling Systems, GE Oil & Gas; Steve Fulgham, Chief Business Development Officer, Weatherford International; and David A. Paradis, President of Pressure Pumping, Weir Oil & Gas. Eugene Charles (Chuck) Chauviere is President of Drilling, a leading provider of drilling equipment tailored for high pressure, high temperature, and deepwater frontiers. Prior to his current position, Chuck held various leadership roles with Hydril Pressure Control. He was CEO for Hydril Pressure Control beginning in October 2007 and prior to that, Vice President of Hydril Pressure Control. Chuck joined Hydril in 1998 and previously served as Director of Engineering. Prior to joining Hydril, he was employed for 10 years with Cooper Cameron Corporation. Chuck is a graduate of the Stanford University Executive Program and Texas A&M University with a BS of Industrial Engineering. 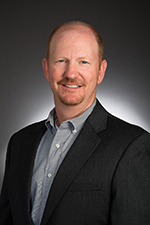 Steve Fulgham joined Weatherford in January 2014 and is the Chief Business Development Officer, based in Geneva. 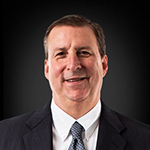 Prior to joining Weatherford, Mr. Fulgham was the Chief Executive Officer of Stewart and Stevenson, a global oil and gas equipment manufacturer based in Houston, Texas, a position he held for three years. Previously, Mr. Fulgham spent 27 years with Schlumberger. His last role was President for North America, where he was responsible for strategic direction of business operations in the United States and Canada. Prior to that, Mr. Fulgham was the Managing Director for Nigeria, Chad and Gulf of Guinea Africa operations, based in Lagos, Nigeria. Earlier positions that he held included VP of Marketing and Sales for North and South America, Marketing Director of Oilfield Services for Malaysia, Brunei and the Philippines, and VP of Operations for Wireline for West and South Africa. Mr. Fulgham holds a B.S. degree in Petroleum Engineering from Texas A&M University. 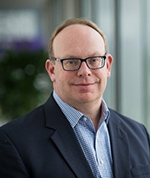 David Paradis was previously the Global Vice President of Sales and Marketing for the company, with offices in Ft. Worth. Prior to joining Weir in 2012, David spent twenty years with Tyco in various positions of increasing responsibility in sales, marketing, and management. His last position with Tyco was Director Global Sales & Marketing for Tyco Flow Control. In this role, he was responsible for managing all aspects of sales and marketing for Tyco Flow Control’s Pressure Management & Instrumentation Division. He has extensive experience in industrial sales and distribution, industrial brand management, global account management, strategy development and M&A activity. David has an MBA and a BS in Mechanical Engineering from Texas A&M University. David and his wife Lindsey have four children: Christina, Abigail, Andrew and Parker. They live in Stafford, Texas.